The best place to find all of your favorite travel spots from around the world. The islands are well known because of the research the Charles Darwin did in the region; but the region is so much more than that. The islands are off of the coast of Ecuador and are part of that country. But what makes them so special? Well I will tell you: the animals, the weather, and the views. Most people will go to the Galapagos Islands for the fauna. The wildlife on the islands are unlike the rest of the world and are enough to make the visit worth it. The first major animal is the Galapagos tortoise which can only be found on these islands, but sadly there are only 200 have them still alive. These are the tortoises that Darwin studied when he was on the islands. Another un ique animal only found here is the Galapagos land iguanas. There is also the only marine iguana that eats out of the ocean. One of the most popular animals with the tourists are the Blue-footed Booby. These are seagull type birds with large blue feet that they show off during mating season. Another popular species is the Galapagos Penguin which is the only tropical penguin still in existance. Besides the animals that are unlike the rest of the world, there is also weather that will attract many tourists. The islands are scattered about the Equator, however they are located in a current that tends to bring light rains and cooler water during the colder months (June to November). Then during the summer months (December to May) the temperatures increase and the water temperature rises. The amount of rains varies A LOT between the different altitudes and the different islands. On the beaches, the usual hangout spot, there tends to not be much rain. The views at the islands are some that could be gawked over for a long time. Within the islands, there are 13 main islands and six smaller islands. Each island is slightly different and are used for different reasons. There are just four islands that people live on. The biggest of these is Isabela Island. This is where you will be able to find the airport and other ammenities of civilization. Many of the smaller islands are used for SCUBA diving. One highlights for most people is going snorkeling with penguins at these islands. There are tons of fish and coral around these islands making for some great diving. The sea lions on the islands are also unlike those of other places. They tend to be very curious and are not afraid of people. It is not uncommon to have a sea lion come up to you to see what you are doing. The Galapagos Islands are not the typical vacation for most, but they can offer much to it's visitors. Because of all the different species, the islands are commonly used for educational purposes. The beaches or the SCUBA diving seem to be the main attractions to the rest of the visitors. If you are interested in visiting these islands, Jeopardy is currently doing a sweepstakes so you can spend a couple weeks with Alex Trebek. Istanbul is the capital and cultural center of Turkey. It surrounds the Golden Horn Harbor and the Bosphorous Strait in the northwest corner of the country. That same harbor is also one of the boundaries between Europe and Asia. Istanbul is actually the only major metropolis that is situated within two continents. During the long history of this city it has been the capital city of the Roman Empire, the Byzantine Empire, the Latin Empire, and the Ottoman Empire. This history adds a lot to the culture and architecture of the city. The religion in the city is mostly is Islam, with the minorities being Christians and Jews. 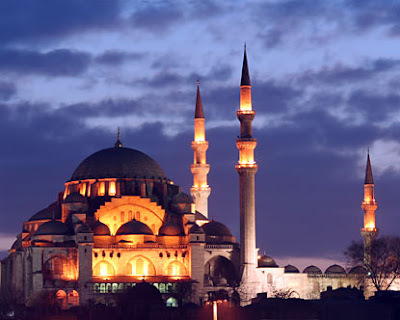 There are nearly 2,700 active mosques in Istanbul, 123 churches and 26 synagogues. This religious diversity has added a lot to the culture of the city and the acceptance of different people. The transportation in the city is actually one of the highlights. First site is the Bosphorous Bridge. 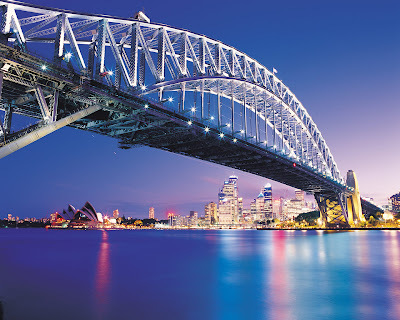 This bridge connects Asia and Europe and cannot be missed at night. It is always beautifully decorated with lights at night. Next is the different types of boats that can be seen. There are the gigantic cruise ships that stop at the port as well as the little fairies, the day-cruise boats, the fishing boats, the cargo ships, and the seabuses. The final main type of transportation is railway. There are trams all over the place including older, slower, nostalgic trams as well as faster, modern trams. These are always open to the public and a lot of fun to ride. Besides the trams, one can also take the metro, the trains, or the light rail. Besides these things, there is also the spectacular buildings with their diverse styles of architecture. There are still ruins all over the city of the past empires that ruled there. One would never really expect to see Roman ruins, but statues can be found scattered about the city. Besides all of the old architecture, there are modern buildings springing up all over that are spectacular. The financial district is as modern as any other city, but within these buildings one can find a magnificent mosque or some Roman statues setting this city apart from others. Istanbul has had a long and mostly prosperous history. This can be seen in the different types of architecture as well as the way the people embrace different cultures. The city welcomes visitors of all kinds and is a place where one can learn a lot about culture and acceptance. Crater Lake National Park is located in Southern Oregon. As you could probably guess, the main highlight of this park is Crater Lake. This national park is one of the least known and least visited, but it still has some attributes that would attract anybody. Mount Mazama used to be a volcano that used to be in this same location. However, about 7,000 years ago the volcano erupted and then the mountain collapsed into the newly formed opening. The entire mountain didn't collapse into the hole, so there was a ginormous opening still there. Over the years, that hole has filled with rain water and melted snow forming Crater Lake. Crater Lake is the deepest lake in the United States at 1,949 feet at the deepest point. The average depth of the lake is 1,148 feet. To put this in perspective, lake Michigan has an average depth of 279 feet. The lake is also the seventh deepest in the world. Surprising, there are also no rivers or streams that go into the lake or out of it. All of the water is direct from rain and snow. This lake is actually very clean and extremely blue. The water does not stay in the lake for very long. The ground absorbs the water so fast, that there has to be a constant replenishing of the water. The ground absorbs water so fast that plants have a very hard time growing around here. The roots just can't soak up the water faster than the ground does. This lack of vegitation right next to the lake makes Crater lake National Park quite different from other parks. Don't worry though, there are plenty of plants in the park, just not next to the lake. So when you go visit the park there is plenty to do. Within the park, there are MANY miles of trails to hike. One specifically will take you to a nice place to go swimming in the lake. Also at the lake, you can go fishing. The lake was stocked with fish in the 40s so now people can fish there without a license or without any restrictions. The national park also offers tours of the lake by boat that many tourists take. Mont Saint-Michel is an "island" off of the coast of Normandy in France. When most people hear Normandy, WWII is the only thing that come to mind. France is actually split into regions much like the United States is split into states. One of these regions happens to be Normandy, which is where we invaded and where Mont Saint-Michel happens to be located. Mont Saint-Michel was first used in the sixth and seventh centuries as a place for the Romano-Bretons could have culture and power. Basically as a place of status, and was invaded by different groups for a couple hundred years. At the end of the eighth century, construction began for the first monestary. The monestary was firmly established during the eleventh century and turned into a prized posession by kings of France. The English tried to invade it many times unsuccessfully, which just added to the pride in the piece of land. Finally, by the time of the French Reformation, there were barely any monks living at the monestary. So, to be efficient, the French turned it into a prison to hold people against the current regime. The prison was closed in the mid 1800s and became a national monument. It has since become a much visited spot for tourists to see culture as well as natural and man-made beauty. So like I said, this was originally used as a monestary but the uses evolved over time. Which adds to the architecture that can be seen. The center-piece of the island is the cathedral/monestary at the top of the island. It has been restored through-out the years, but has kept the original charm. The cathedral is actually really cool because it has been added on to over the centries. So there is every type of architecture imaginable all in the same structure. So besides the obvious monestary on the island, there are other things to be seen. As was mentioned, there is a pretty sweet prison on the island. The prison, though developed later, is underground. This adds a bit of a creepiness to the island to make it a little more interesting. There is also a town on the island where people actually still live and have shops for the tourists. And trust me, these people make money souly on tourism, so don't expect a good deal. However, there are some very impressive artists on the island worth the money. Visiting Mont Saint-Michel is a must do while in France. The views from the mainland are just magnificant and worth your while. The architecture will impress anybody as will the friendliness of the townspeople. So when people think of Egypt they think of the pyramids, the nile, and maybe the Sphinx. But there is so much more to be seen within this country. Those are some places that need to be seen, but I want to show you some other hot spots (pun intended). First, one thing that you need to put in perspective is the size of Egypt. In square miles, it is about the size of California and Texas put together. Granted most of this is dessert, this is still a size that most people don't expect. Cairo is the capital of Egypt and the biggest metropolis in all of Africa. This is the city where you will find everything that you would want to find in a city. However, this is the largest city in the Arabic World, so it is going to be a little different than say New York. It will not be uncommon to see people dressed in western wear as well as people wearing Arabic clothes. Cairo is located along the Nile in the northern part of Egypt, close to where the Nile splits and close to wear it floods every year. Cairo is also famous for the amount of mosques located there. Not only that, but many of them are lit up well at night and are great for pictures. Ok, theres not much there besides Cairo and the places already listed, so I need to go back to those well known tourist spots. Let's start with the Pyramids; the three main ones (there are a total of about 67 around Egypt). The Pyramids are located right by Cairo in a slightly more deserty area. There are three different pyramids in this area on almost perfect square bases. There is the Great Pyramid (Khufu), Pyramid of Khafre (Chephren), and the smaller Pyramid of Menkaure (Mykerinos). The faces of the different pyramids are all facing north; only a fraction of a degree seperates all three of them. They are also in the shape of the constellation Orion. The Great Pyramid is actually the only surviving Wonder of the Ancient World, which says something about the construction. The Pyramids were made as a place to bury the dead pharoahs. So when the pyramids were made, there was a plan with hallways and rooms to bury the deceased. Since they were buried, all of the pyramids in Egypt have been broken into and the gold buried with them has been stolen. There was one grave that had been kept in tact until the 1920's, and his name was Tutankhamun, aka Kind Tut. With him was buried many artifacts and gold, people are actually still excavating there and have found new things just a couple years ago. Ok, that was enough history, near the Great Pyramid you will also find the Sphinx. The Sphinx is a gigantic mythical creature that resembles a lion with the head of a woman. Similar, smaller figures like this one have been found all throughout ancient Egypt. These were thought to be temple protectors. Wow, so Egypt would be a really awesome place to go. But as you can see, history is a major aspect of this country. Understanding and appreciating the Egyptian culture will help you to enjoy the artifacts and monuments a little more. So I am going to cheat a little bit on this post. I am going to write about a region instead of just a specific place. Patagonia, however, is WELL worth it. If I could go backpacking anywhere in the world, this is where I would go in a heartbeat. Patagonia is a region in the southern part of South America and takes up parts or Chile and Argentina. It has one of the best varieties of geography that can be seen around the world. 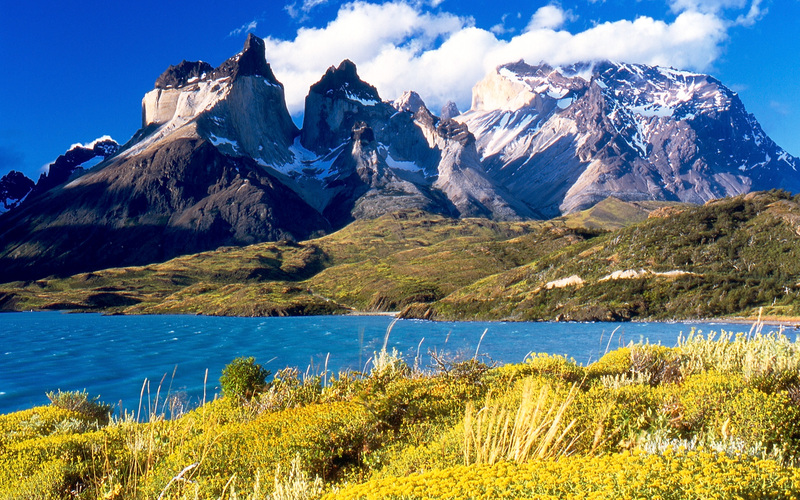 There are seven regions within the larger geographic region of Patagonia. I am just going to highlight a few of them that represent the area well. The first is called Chubut and is located primarily in Argentina. This region is primarily used as farm land and is particularly known for the quality of wheat. But this is not the quality of the region that attracts the visitors. There are numerous lakes scattered throughout the region especially on the eastern side. These lakes are surrounded by small mountains, creating a most surreal environment. These lakes also attract 1000's of fly fisherman every year. There are a couple regions that are similar to this one. Next is the Santa Cruz region. Most people are probably thinking about Santa Cruz in California, but this is just about the opposite. This area is also in Argentina and is a very cold region with some fantastic landscapes. Santa Cruz is the southern most region, closest to Antarctica. It is known for the pebble beaches and the deep water lakes. These lakes were formed by melted glaciers; there are actually still a lot of glaciers that can be seen and gawked at. A third region is Magallanes and is located in Chile. This has some of the more well known spots to visit; for instance the strait of Magellan and Cape Horn. This region has a very low population and is extremely vast, which makes it great to see different plants and animals. In this region it is relatively easy to find penguins and condors as well as other animals in their natural habitat. What this region might be most known for is hosting the Patagonia Expedition Race, one of the world's most spectacular adventure races. Patagonia has one of the best variations of geography in the world. From mountains, to plains, to lakes, to oceans, to glaciers this region has something for everyone. This is the place for any adventurest to have the time of their life. 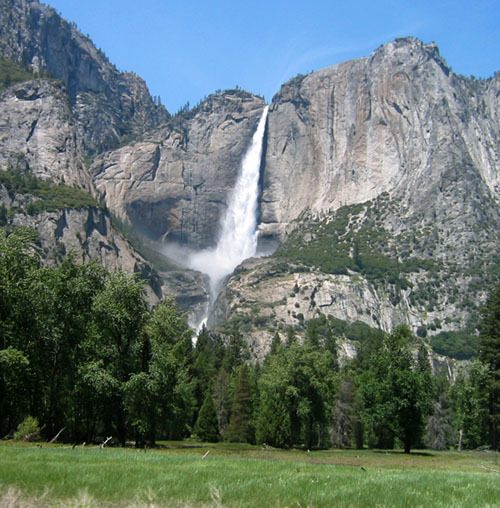 Yosemite is one of the most visited national parks in the United States. It is located in central California and takes up an area of over 1000 sq. miles. The most visited part is the seven sq. miles of Yosemite Valley. This is the most photographed part of the park, but there is much more to be explored than just that spot. The park is known for its granite cliffs, water falls, clear streams, and the biological diversity. Yosemite was actually one of the main focal points when the government decided to protect and preserve national parks and wilderness areas. It is said that the park was made from the shifting of techtonic plates as well as the movement and formation of glaciers. Yosemite Valley (roughly 1% of the park) has a couple of the most spectacular features. First, El Capitan is a gigantic granite cliff that is perfect for rock climbing. There are tons of different routes waiting to be persued. There are also a couple of half domes in this region just soaring a few thousand feet about the surrounding area. Some of the other more popular places to visit are in the highlands. There are mountain ranges, extensive meadows, and hundreds of miles of trails to follow. This is a great place to go backpacking and offers the hiker everything needed. This area is full of clear streams for water and washing as well as a great view for constant entertainment. These views and environment aren't just perfect for people, but also for plants and animals. Black bears are all over the place in this park. If you go hiking here, it is actually required to have bear-safe food containers. Besides bears, one can also see marmots, foxes, deer, and owls, among many others. The park also has some Giant Seguoia to gawk over. These trees are actually the largest in the world in area (not height). Yosemite is the jackpot of places to go backpacking. You will not be disappointed if you ever make the trek out there. Between the views, the animals, and the gigantic trees, one can never go away without satisfaction. I am a travel enthusiast looking for the next best place to go.